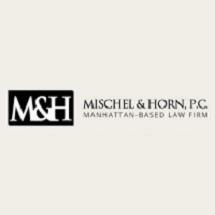 At the law firm of Mischel & Horn, P.C., in New York, New York, we focus our practice exclusively on civil and criminal appeals, and we serve a diverse range of individuals and institutional clients throughout the New York City metro region and the surrounding areas of New Jersey, Long Island and Westchester County, as well as in appellate courts across the country. Backed by our decades of appellate experience, we have achieved unprecedented success delivering winning appeals. We also serve as co-counsel to trial lawyers, providing counsel regarding motions and litigation strategies in order to preserve appellate review. In addition, we also represent attorneys and other licensed professionals during disciplinary hearings following disbarment or a suspension of their licenses. Regarded as two of the top appellate attorneys in the country, our law firm's founders, Richard E. Mischel and Scott T. Horn, each possess an impressive breadth of experience and credentials that make us well-suited to handle even the most complex and challenging appellate cases. Recognized for our impeccable professional standards and exceptional legal abilities, the attorneys at Mischel & Horn have earned numerous awards and honors for our service, and we are each AV Preeminent peer-review rated* through Martindale-Hubbell. For more information on how Mischel & Horn, P.C., can best assist with your appellate matter, we invite you to contact our law office or visit our website to schedule a free initial consultation.